Sri Lanka Division and Daily FT donated Rs. 1.3 million from the profits from the popular Fireside Chat held last year at Hilton Colombo to upgrade the facilities at the Apeksha Hospital – Maharagama. 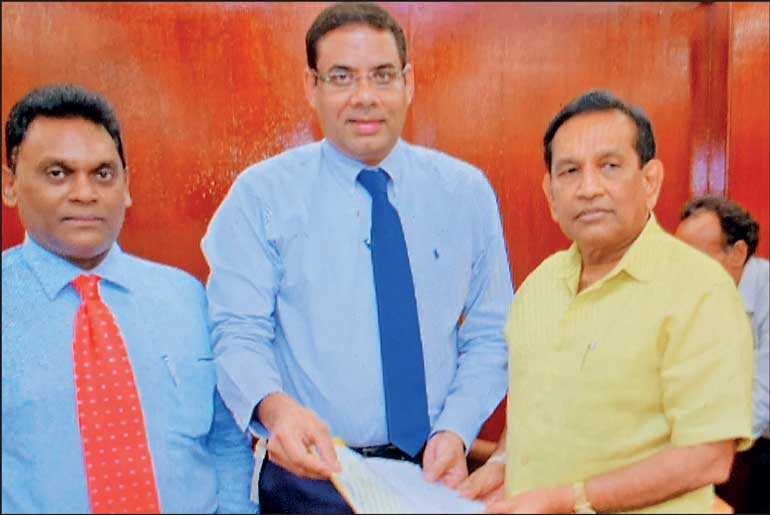 ICC Sri Lanka Chairman Dinesh Weerakkody, Secretary Shanil Fernando and CIMA Manager Markets Vithusan Sivasubramanium met with Minister of Health Dr. Rajitha Senaratne to hand over the cheque.